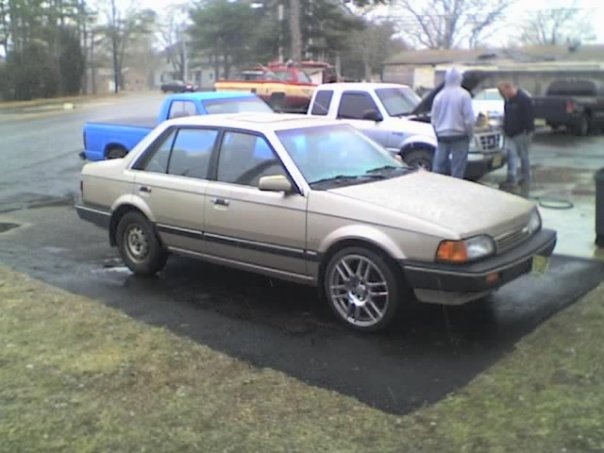 Have you driven a 1989 Mazda 323? Displaying all 7 1989 Mazda 323 reviews. I,d Love To Drive It Day N Night :p — Nice Car for a Daily Driver n Track Too The Handling Is so Awsome It gives Full control on the road joy full ride. the feel of true rally car oh yeah it makes u feel it . tried off orading on it Awsome Respone. Looking for a Used 323 in your area? Pros: Small, fun, light weight, direct steering. Its like driving a Go-Kart! Cons: The transmissionfluid can overheat if you play to much. The crankshaft is to weak for heavy tuning. Great Fun To Drive. Love The Pop-up Headlights. — Pretty good off the mark, smooth braking - not too touchy. Handles well - great fun around the corners. A few cracks in the plastic trimming, apart from that still in great condition. Engine rattled but was fixed with an oil change. Pros: Reliable and still stylish despite its age.